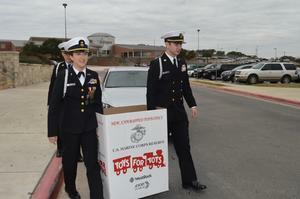 The Smithson Valley High JROTC and girls basketball teams held a very successful toy drive for Toys For Tots recently as part of their Community Outreach Project for SVHS. 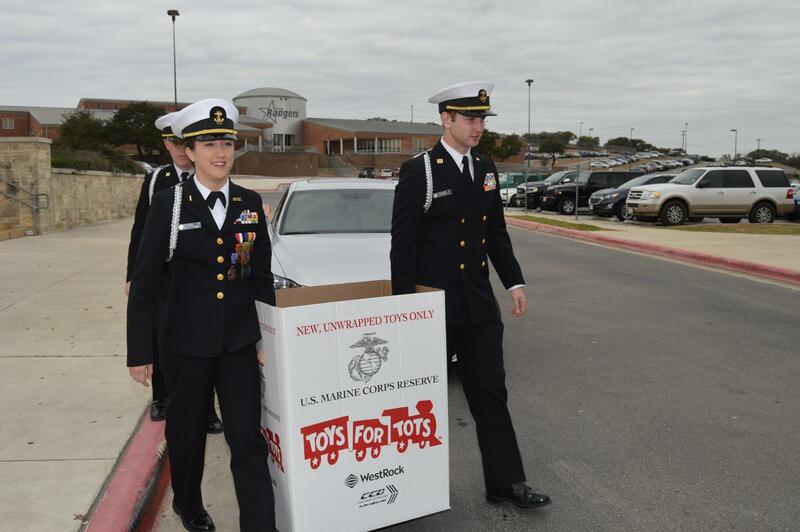 The Smithson Valley High JROTC and girls basketball teams held a very successful toy drive forToys For Tots recently as part of their Community Outreach Project for SVHS. Throughout the month of November they collected new, unwrapped toys, and presented approximately 200 toys to Gunnery Sgt. Kevin Dahlin, coordinator for the 2018 San Antonio Toys For Tots campaign, on December 5. The JROTC also helped load the toys, completing filling up the bed of Gygt. Dahlin’s truck. The group plans to collect even more toys for next year.